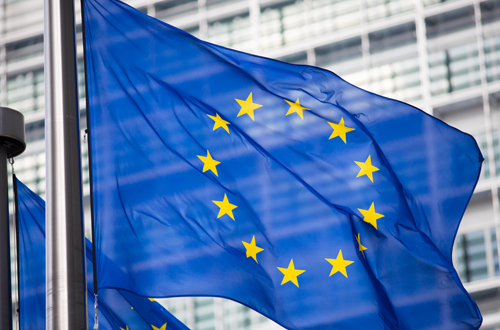 Pharma companies should ensure they follow the industry's disclosure code for payments to healthcare professionals or they will face even stricter legislation, according to the European trade body. Anne Erwin, who represented the European Federation of Pharmaceutical Industries and Associations (EFPIA) at the European CME Forum in London last week, told the event that self-regulation was part of a “new era” in transparency and companies would have to adapt their practices. EFPIA's code of practice is set to come into force at the beginning of 2014 and includes requirements that companies disclose all 'transfers of value' to HCPs for consultancy fees, payment for travel or congress fees etc, as well as a complete ban on all 'gifts'. At the time, EFPIA director general Richard Bergström described the move as "an important step for our industry, as we demonstrate our commitment to transparency and secure the trust of the patients our industry serves". Erwin added to these remarks at the European CME Forum, which brought together stakeholders in continuing medical education (CME) for HCPs. Her comments were backed by Edwin Borman, chair of the UEMS-EACCME – the accreditation council for CME in the EU. According to Erwin, key to this is an extra effort to follow the code correctly from pharma companies and those healthcare organisations involved in the pharma/HCP relationships, such as companies offering continuing medical education (CME) services. “The hardest aspect is that both third parties and pharma companies are not set up for this admin burden. Companies will have to expect more to handle on their systems and processes,” she said. Both Erwin and Borman also agreed that effective communication of the code's purpose was needed so that both the public and the media did not misinterpret legitimate payments to HCPs and healthcare organisations from pharma companies as well as industry's financial support of education programmes. This is especially important considering the impact on pharma's reputation of the AllTrials campaign for greater data transparency and the publication of Bad Pharma by Ben Goldacre. Erwin said: “We allowed Ben Goldacre to expose our frailty. It was always there but there was no push to do anything about it. Now it's top of the agenda and a lot of people are interested in it because it's a very big story. Borman also commented on the impact of Goldcare on the reputation of pharma and its relationship with healthcare stakeholders. “For the moment he can continue to keep saying those things and perhaps he should continue until we all do get our act together,” he said.